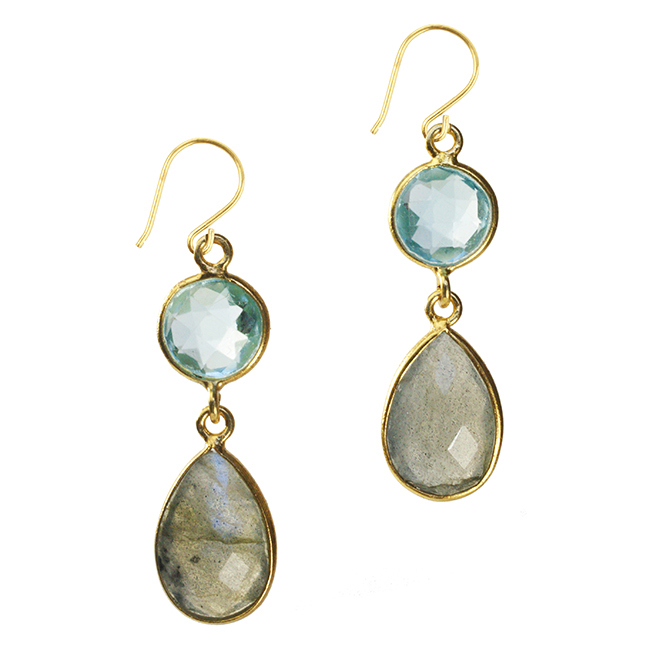 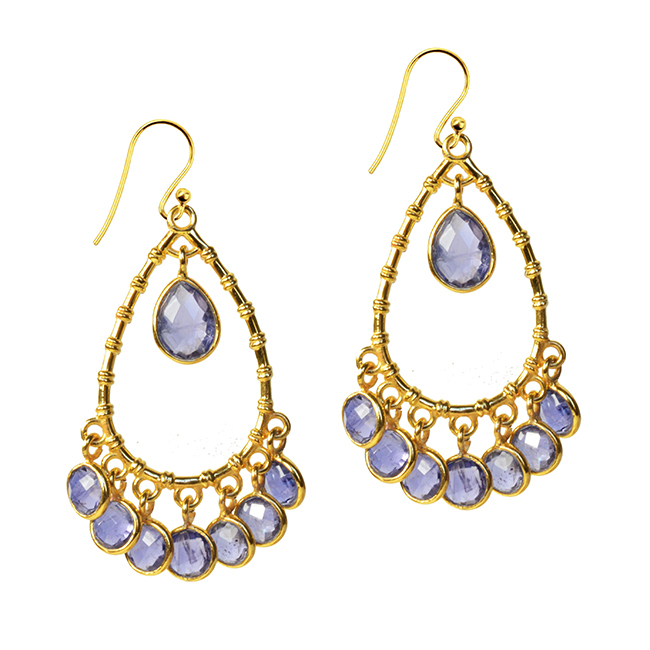 These chandelier earrings are set with lovely faceted drops of Amethyst and Iolite. 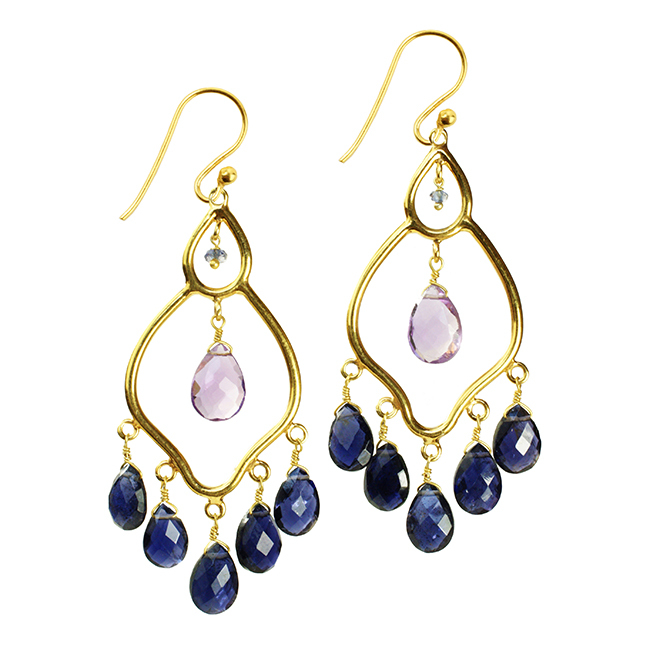 Set in Silver and then gold plated. 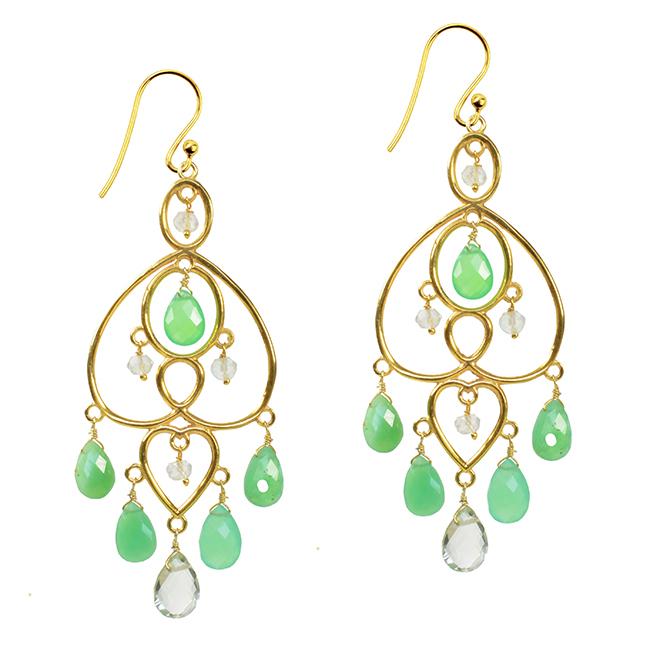 These earrings will work well day or evening.